Like too many people I have trouble sleeping. 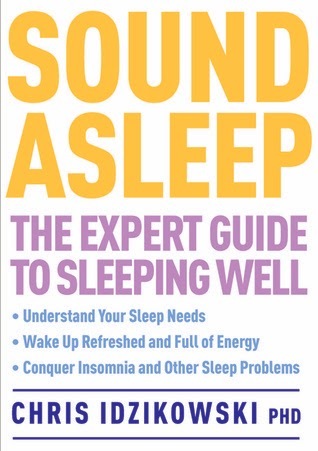 I have read a few earlier books on sleeping, but I couldn't resist one more effort when I came across "Sound Asleep" while browsing e books at the local library. 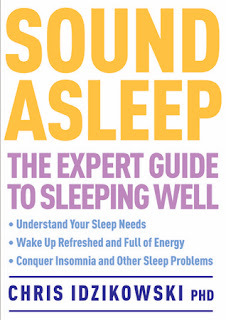 The book seems to reflect a lot of research on a wide variety of sleep concerns. It will help you to understand the process to better deal with your specific concerns. Research is ongoing and it is likely that there will be much fine-tuning in the future. There are many sleep conditions and the author grouped many of them that have common remedies. Sleep sanitation was used as a generic process that provides a base for more specific remedies. Such things as temperature, darkness, mattresses, covers, pillows and diet (and eating habits), Much would be considered common sense, but nonetheless often overlooked. A common factor is stress and Dr Idzikowski suggested a few simple exercises. Time management is important as many people carry their worries into their beds instead of preparing for the next day (set out clothes, make lunch, etc) before going to sleep. He suggests you write down what not accomplished today so you don't have to dwell on it. Many of us would find some of his suggestions very difficult such as no television in the bedroom or limiting alcohol consumption, but if you have serious problems getting your necessary sleep the more of his suggestions you can accept the more success you are likely to encounter. Some of his advice is useful to those who do not have trouble sleeping. For instance if you are memorizing information it is more effective to make the effort one hour before sleeping than it is closer to sleeping. From birth to old age our sleep patterns change. Generally we go through a number of cycles as our bodies consolidate what we have taken in during the day and restore our strength for the upcoming challenges. The number of hours we sleep may change, but the patterns adjust as well. A key time to develop habits is when we are infants. Of course parents are concerned that they get their necessary sleep to help cope with life's struggles, but they also have an opportunity for their youngsters to develop new habits. The key is to develop routines. In today global village many people for business or pleasure find themselves going across several time zones. This is a phenomenon our ancestors did not contend with. Dr Idzikowksi has several observations about jet lag that can help alleviate our adjustments. A quote from "Sound Asleep" that I like comes from Lord Chesterfield, "A light supper, a good night's sleep and a fine morning have often made a hero of the same man who by indigestion, a restless night and a rainy morning would have proved a coward."